I’m a big fan of Russian Circles. These guys are awesome. For those of you not familiar with them, they’re a Chicago based band that creates instrumental based music on the heavy side. If you’re familiar with other instrumental bands, like myself, and like bands like Mogwai, Explosions in the Sky and Earthless – Russian Circles is a band you need to check out. Mogwai/Explosions in the Sky take a more shimmery approach to their music while Earthless is more psychedelic, but Russian Circles would fall into the more rock aspect. Russian Circles is about the loudest and most complex 3 piece on the planet. The band implements awesome looping techniques to build soundscape, the drummer is absolute phenomenal. To start things off, let’s check out some Russian Circles. Here is a live in the studio of the song 309. A while back I did pedalboard breakdowns for the bassist Brian Cook and guitarist Mike Sullivan. It’s always cool to see how the board on pro rigs change over time. 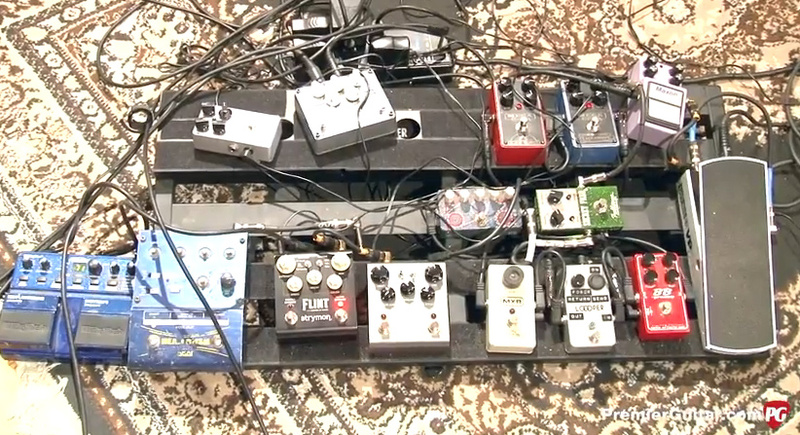 That is why I was especially stoked to see Premier Guitar recent Rig Rundown. They interviewed Mike and Brian at Electrical Audio where they’re recording their new album (pumped about this). This video is great since we also go into some of Mike Sullivan’s guitar techniques! As you see above, I’m missing two of the pedals (upper left hand area) of Mike’s board. If you know what those pedals are.. please let me know and I’ll update the post. Please let me know what you think about Russian Circles by commenting below! 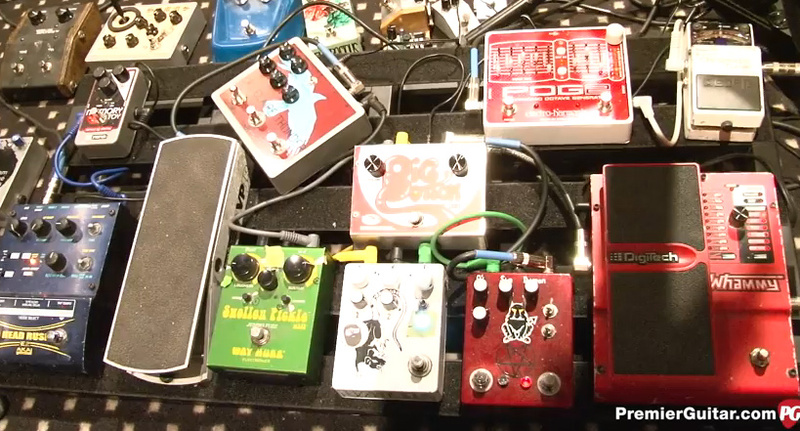 You were wondering about the two un-ID’d pedals on Brian Cook’s board; directly above the Eu Claire is a partially visible Fuzzrocious KAEDEN overdrive. That one is #1…I know this ’cause I have #2, out of a total of 6.